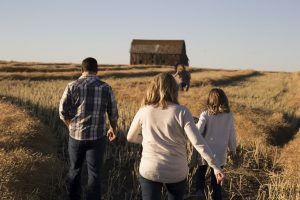 Is the Farm a Marital Asset? That old farm had been in the husband’s family since before the marriage. Was the wife entitled to share in its value in divorce? The Alabama appeals court says yes, even though neither spouse ever lived there. The case is Davis v Davis, Case No. 2150657 (Ala. Civ. App. May 5, 2017). That link, by the way, takes you to the case as provided online free of charge on Google Scholar. I just found out about it last night. I’ll be linking to cases in this way in all future blog posts. If you want to pull up one of the cases I discuss in earlier posts, it’s easy to do. Just go to Google Scholar for Alabama case law and search for the case number. The husband in this case was 97, the wife 71. They had been married nearly 60 years, and the husband told the court his wife had wanted a divorce for 40 of them. At the time of trial the husband was in poor health, was likely blind, and was being treated for cancer. The husband had argued at trial that the farm was his separate property because he and his mother had bought it before the marriage and put it in his brother’s name. The brother had lost the farm (also before the marriage) because of failure to pay the taxes on it. The husband purchased the farm again in his own name after the marriage. He purchased it in his own name, shared some of its income with his siblings, and used the rest for unspecified purposes. The trial court awarded the wife the parties’ marital residence (which all parties agree needed considerable repair to be habitable) and two parcels of real property valued at $3,200. The trial court awarded the family farm (the only income-producing asset) to the husband, apparently on the grounds that it was the husband’s separate property. In its award, the trial court said the husband needed money for his medical expenses, because “I can’t allow the man to die.” The trial court said that it “expressly resolve[d] the periodic alimony issue by the division of property,” even though the settlement it ordered allocated no income-producing property to the wife.